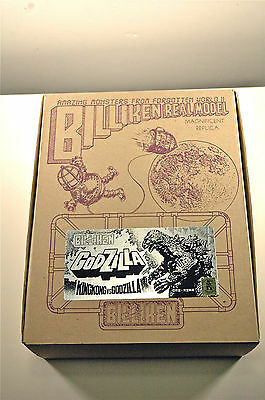 Bandai Special Effects Collection Godzilla Model. Hard plastic model, 1/250 scale model. New in box, never assembled. Box has some light general shelf wear, nothing of significance. Although missing its shrink wrap. Model is complete mint in box. 1:288th scale. Vinyl. 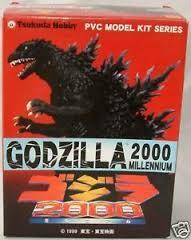 Original Tsukuda kit of the Godzilla 2000 Millennium versium of our old Radioactive pal. 25.5cm Tall. 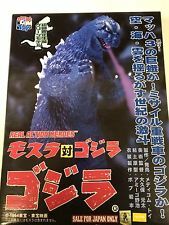 Vinyl Model Kit of Godzilla from the 1962 movie "King Kong VS Godzilla. Bandai 2001. 9" tall - Details as above. 5" Tall, Vinyl, 1993 from Amaquest - Requires Construction and painting. 9' Tall - Hard Vinyl. Seperate Hands to Attach & Comes with Eye Stickers. Kyosho Japan 1997. 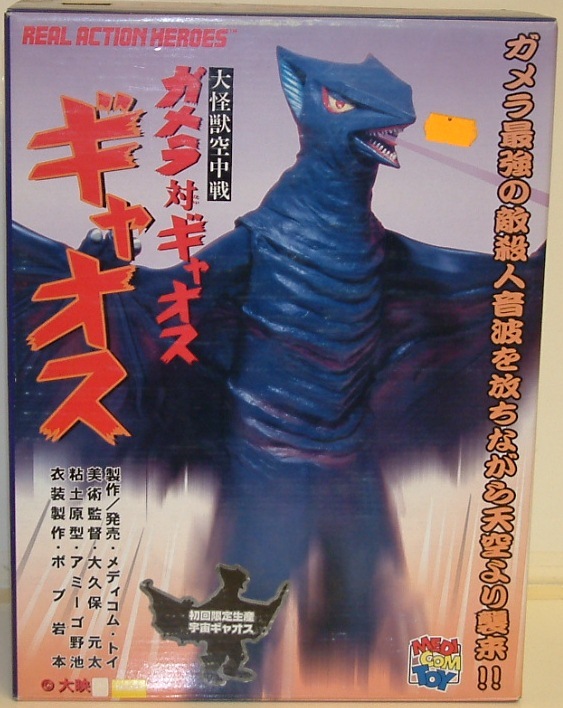 12" Tall - Pre-Coloured soft Vinyl Body - Wire Framed Head to Allow ROARING Action. Wire inside bendable Tail - Takara Combat Joe fig. 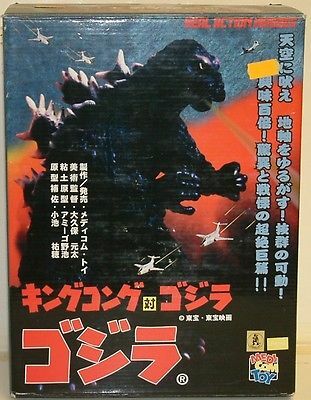 After all - Godzilla was a man in a rubber suit!! Rare - 1996 - MIB. Bandai - IP - 2.5' tall. 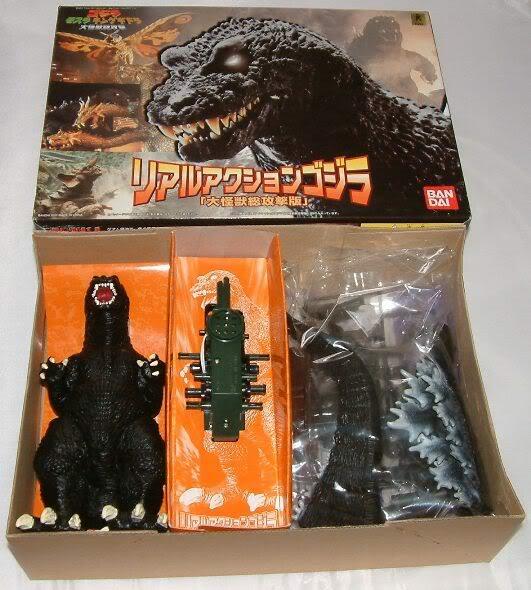 Cute Deformed twin kits of Godzilla vs Mothra - Godzilla vs Battle Mothra and Godzilla vs King Ghidra. Comes with Wheelies! Rare 1992. 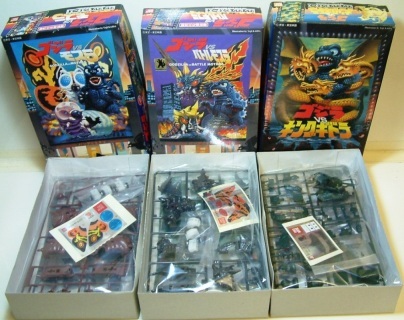 Product Code Set 1 : 34569. Godzilla Vs Kingghidora. Product Code Set 2 : 37354. Godzilla Vs Mothra. Available as set of 3 only! 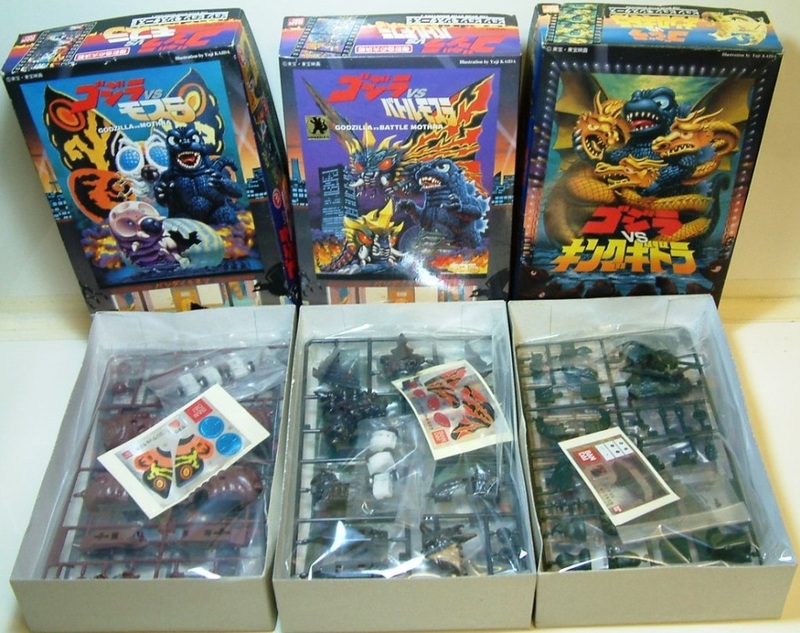 Bandai 2000. 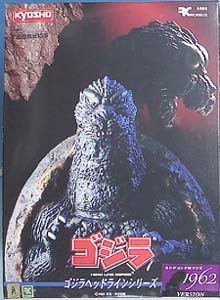 9" tall - Real action - Motorised Model Kit - Walks with Head, Arm and Leg movement. 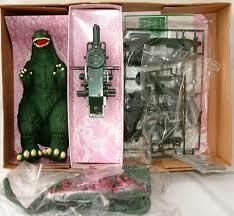 Also comes with Built in Sound System to Mimic Godzilla's Roar! !